The common misconception about Chronic Fatigue Syndrome is that it’s just being tired. There couldn’t be anything further from the truth. The fatigue I feel is by far not my worst symptom and not even the most debilitating. 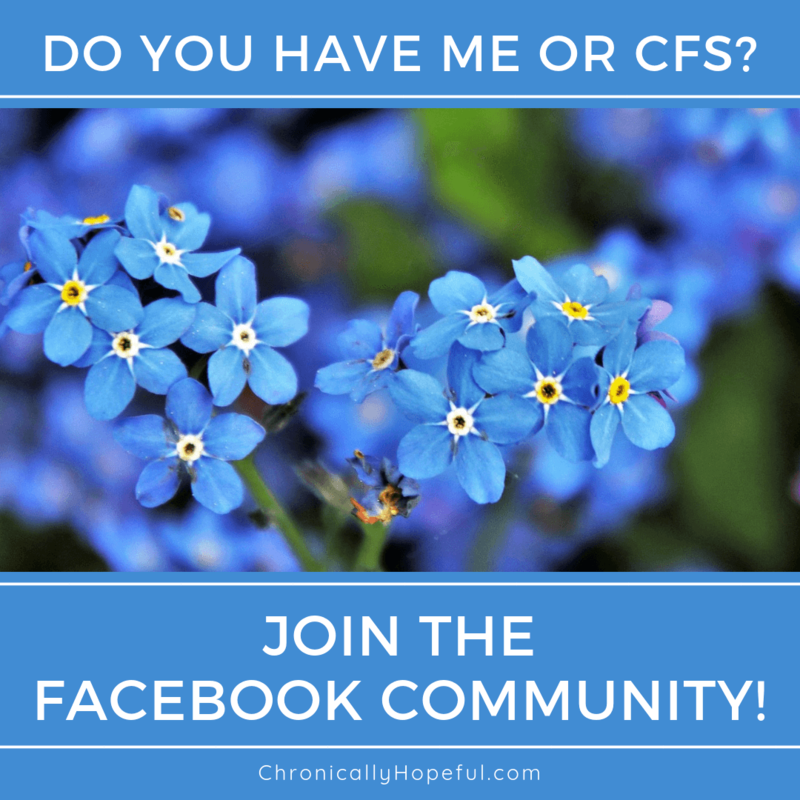 With these posts I hope to shed some light on how ME/CFS really affects us on a daily basis. You’re welcome to download these images and share them on social media too. People with ME/CFS often go months or even years without a diagnosis because there are no widely available tests to confirm diagnosis. There are physiological abnormalities that have been discovered in the brain and mitochondria, as well as gut disorders, etc but there is still no definitive, standardised method of testing approved, so we have to wait for the process of elimination. The problem is that this illness has such stigma attached to it from decades of misinformation, pseudo-science and disbelief, that patients are still quite often disbelieved and told it’s all in their heads, despite accumulating scientific evidence to the contrary. This disbelief is not only by doctors who cannot find anything wrong in the usual tests they run, but as a result of negative test results, family and friends will also doubt the sufferer as they have so much faith in the medical practitioners who unfortunately are severely lacking in any sort of education about ME/CFS. It just isn’t covered in medical school. I waited months while they ran batches and batches of tests, each time the results came back healthy was as heartbreaking as it was relieving. I was happy I didn’t have the awful things they were testing me for, but shattered that there was still nothing showing up to validate how utterly weak, in pain and drained I was feeling. What should have been good news, was just torture. When I finally got a diagnosis I had no idea what it was. I had never heard of CFS, I was relieved, we now knew what it was, but my doctor sent me home with pain killers and I was told to rest and go for a ten minute walk daily and increase that time steadily. When I googled it, I found out what it was like for other patients and I quickly learned that the advice my doctor gave me was damaging and did not at all underline the gravity of what I now live with. After that first 10 min walk I knew I couldn’t trust the doctor’s advice, I needed to find people who had experience with ME/CFS and learn from them how to cope. Have you ever been so weak and exhausted that you can’t even pick up your fork? This is the kind of exhaustion that people with ME/CFS have to deal with almost on a daily basis, depending on their severity or whether they’re flaring on a particular day. When you’re too weak to stand in the kitchen preparing a cooked meal, cant cut anything, can’t open jars or even use the tin opener, can’t lift a frying pan or turn the switches on your hob… cooking becomes impossible for many of us. I remember a time, when I still lived alone, I couldn’t open a can of tuna or cook, hadn’t washed dishes in days and all I could eat was raw fruit and veg I had in the fridge. The only problem with that is it’s so much harder on my system to digest raw food and completely knocks me out while I digest. The noise of crunchy vegetables in my mouth as I chew them is unbearable too. I know some ME/CFS warriors who crawl on the floor to get to the fridge and lie on the kitchen floor taking bites from a block of cheese or bread, too weak to stand up and make a sandwich. Life with ME/CFS can become extremely debilitating and life draining. we are certainly not “just tired”! It might surprise you to hear that most people with ME/CFS are hard working, high achievers. People pleasers and perfectionists by nature. Those people who always do their best, arrive early and go home late, volunteer for projects, take on extra work, have hobbies and social lives to keep them busy after hours, certainly not the lazy slobs that the mainstream media portrays us to be. This makes life with ME/CFS so much harder, because these types of people hate being idle. They feel guilt and shame and a sense of uselessness when this illness robs them of the very power they need to complete simple daily tasks like getting dressed or even turning over in bed. These are the people who want to be helping others and taking care of others. They are proud and independent, they hate having to ask for help. ME/CFS doesn’t only steal their physical ability and their mental capacity, but it takes away their independence, their confidence and slowly chips away at their self-worth and dignity. Don’t get me wrong, people with ME/CFS are some of the most hopeful and strong people I’ve ever met, they don’t give up easily, I’m simply pointing out all that they have to deal with on a daily basis. Usually this battle is fought silently, on their own, it’s invisible. The delicate balancing act of pacing. Resting is one of the main treatments for ME/CFS. It’s the only way we can attempt to gather enough energy to complete the next task. Whether it’s making it to the loo across the hall or going to prepare a meal or going to the shop or the doctor. But too much rest also causes all sorts of aches and pain, hinders blood flow, joints seize up, muscles decondition, etc. The ME/CFS patient has to find that delicate balance between moving enough to keep their muscles, joints and circulation healthy, but not too much to cause symptoms to flare and send them back to bed for weeks on end. This seems like an easy task, and it might be easy for some, but many people with this terribly unpredictable chronic illness don’t have the luxury of choice in this matter. Sometimes just lifting my head can send my heart rate over my threshold and make me feel faint and cause an instant increase in general body pain. The same thing might happen from going to the loo or brushing my teeth. I’m not quite sure how I’d cope if my little sister hadn’t moved in with me to become my full time carer! When simply lifting your head or an arm sends your heart racing and shooting pain through your body, it’s hard to know whether to get up and move anyway, risking worse, or stay in bed and rest more. Ah, the morning ME/CFS hangover! Heavy, aching all over, dizzy, sensitive to sound and light and smells, jelly legs, lead legs, numb arms, poor coordination, racing heart, feeling like you’ve hardly slept at all – these are just some of the things we feel every morning. It takes a good while, sometimes hours, to wake up properly. Our body just won’t cooperate. Movement can cause all sorts of havoc in people with ME/CFS. Not only when we move, but when things around us move too. Whether it’s crowds of people, moving vehicles, somebody unexpectedly walks by us or our phone or computer screen scrolling… movement can cause confusion, disorientation, dizziness and a sudden feeling of weakness. This is something to also keep in mind if you’re pushing a friend or relative with ME/CFS in a wheelchair. It can be quite an ordeal! Slowly and carefully is best, while avoiding uneven or bumpy surfaces that will send shocking vibrations through our bodies causing more pain and discomfort. Limiting movement becomes a form of survival. We use screens in short sessions and retreat to our safe sanctuary to rest in isolation, not because we want to or because we are unsociable, but because we need to in order to function properly. It’s a safety precaution. It’s hard for a healthy person to understand just how debilitating such memory loss can be. We don’t only forget words and names of things, we can actually forget how to do things that we usually do on a regular basis. Sometimes this can lead to some funny conversations, but often it is frustrating and quite distressing when you cannot get your thoughts or needs across or you sit staring at something you need to do, but you just cannot remember how to do it. It’s a horrible feeling! It’s like your mind is blank, there’s an empty black hole where that information used to be. You know that you should know this, you know that what you’re saying is wrong, but you can’t find the right words or figure things out the way you know you should be able to. It’s super frustrating. I use an app a few times daily to calculate my macro-nutrients, this keeps my ME/CFS symptoms under control, but I regularly forget how to use it. I also forget how to speak sometimes, staring blankly at the person speaking to me or not being able to get the words out when I need help. It is usually in my worst moments, when I need assistance that my speech is impaired too. ME/CFS is not “just tired”. That’s it for this week’s awareness hour. I hope you will consider joining us next week and help tweet and retweet about this life-altering condition. We need more awareness and more research. There are too many severely ill people isolated behind closed doors, in dark rooms, unable to fight for themselves. Let’s be a voice for the millions missing from life! Ive lost half my life because of this illness and fimbromyalgia.